bpv Grigorescu Ştefănică obtained in court the resuming of the international architecture competition “The New MNIR”, after it had been cancelled by the director of the National History Museum of Romania (MNIR). The decision to cancel the competition, adopted after the winner of the competition was nominated, was motivated by the alleged inconsistency between the participation rules drafted in Romanian and their English translation which would justify the annulment of the competition and the invalidation of the winner voted by an international jury working under the aegis of the International Union of Architects (http://www.uia-architectes.org). The winner of the competition, the architecture studio Starh (www.starh.ro), awarded with the implementation of the design phase of the restoration project, challenged the annulment decision with the help of a bpv Grigorescu Ștefănică team led by Partners Daniel Ştefănică and Anca Albulescu, which included Managing Associate Raluca Marcu and Associates Şerban Dumitrescu and Oana Cotoară. The lawyers obtained a favourable decision for Starh by which the Bucharest Court of Appeal decided that the cancellation of the competition is not legal, thus unlocking the EUR 90+ million investment. The court decision is final and requires MNIR to resume the awarding procedure and reopen the negotiation phase. “We are happy to have succeeded in proving that the decision to cancel the competition was not legitimate, that we have participated in a fair contest and that we have won observing the spirit of the brief and the relevant circumstances. We thank the lawyers for their efforts of understanding and pleading for an architectural competition where the solution proposed in the winning project can sometimes contradict the expectations that the brief may seem to imply. With this excellent team of lawyers and through this act of justice, not only our studio, but also the institution of the competition in Romania, we believe, is rehabilitated both in our own eyes and in those of the world. We would like to go back now to carrying out the project for the New National History Museum of Romania,” said Iulia Stanciu, Professor Doctor of Architecture and Starh founder. “It is a pleasure to be part of projects that have such high stakes as the restoration of one of the most valuable museums of Romania. We are grateful that Starh entrusted us with the representation and that, through our joint efforts, we managed to put back on track a process that was already quite unwieldy, and which should have started long ago. 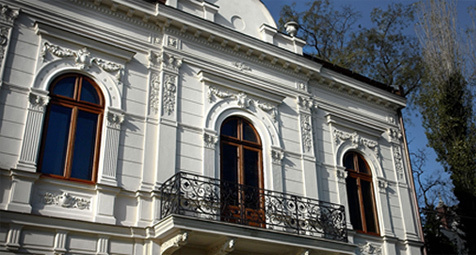 We hope that we will all be able to enjoy soon enough a modernized museum at the highest international standards“, stated Daniel Ştefănică, Partner, Head of Dispute Resolution, bpv Grigorescu Ştefănică.